Summer in Brooklyn is an urban food-lover's paradise. In Greenpoint, the vibe is chill, the greenmarket is bustling and packed with beautiful farm-fresh goods, and nothing compares to buying locally-grown produce from three stories up in the air against a beautiful view of the Manhattan skyline at Eagle Street Rooftop Farms. For this food lover, there's no better season or place to discover and get your hands dirty. Discovery and learning have been big for me since switching to a vegan diet five years ago, and by looking at Kitchen La Bohème entries spanning the past few years, you can tell. Through a lot of experimentation, I learned how to take recipes I'd always loved from my pre-veeg days and turn them into vegan dishes. I discovered new foods and cuisines, and learned new ways to pair flavors. And I learned how to take the vision I had in my head — and sketchbook — and turn it into something real and accessible to everyone. But I'm still discovering and learning, and that's part of the fun. 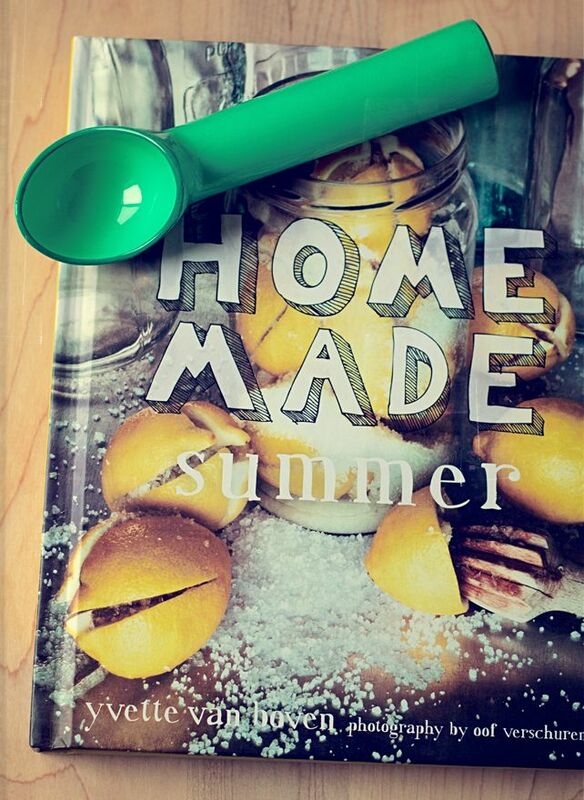 Yesterday while shopping, I discovered some new things that have already inspired summer recipes and photo shoot ideas: Yvette Van Boven's newest delightfully quirky cookbook, Home Made Summer, and the prettiest ice cream scoop I've pretty much ever seen. There will be serious vegan respado recipes coming up this year so I can use that scoop as a prop (and I'm loving the Mint Lemmo recipe from the book). I have a lot of photo editing to do, and in between other Holiday weekend plans will hopefully be posting the recipe for that sneak-peek Pan-fried Chick'n sandwich I showed you at the end of this post. Until then, have a great long weekend getting out there and discovering some amazing things of your own. Photography by Alyssa. Photos ©Alyssa Yeager. 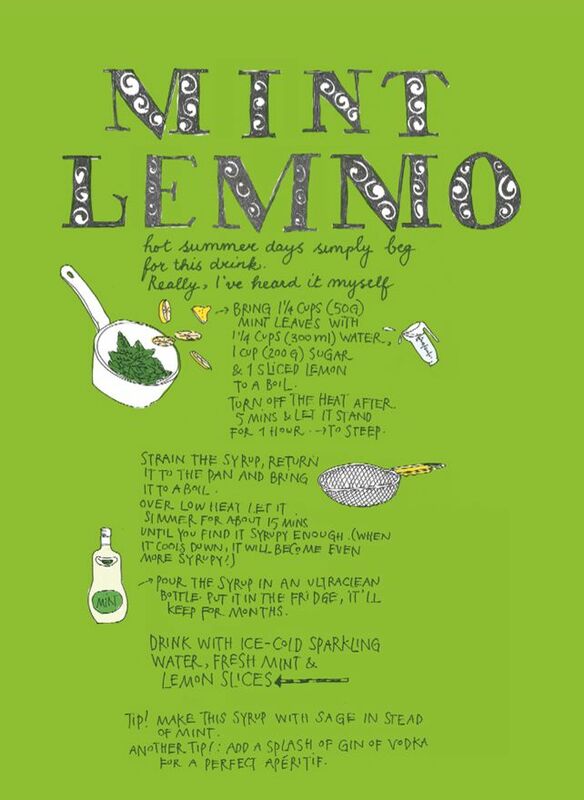 Mint Lemmo recipe and page design from Home Made Summer by Yvette Van Boven.